Designed specifically for new and novice golfers with input from PGA professionals and golf organisations worldwide. 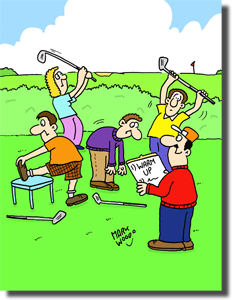 Lets' Get Golfing will be the ultimate 'one stop shop' web site for new and novice golfers. 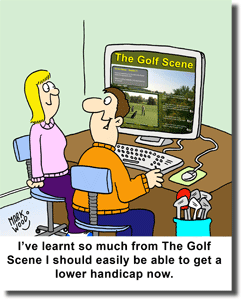 There will be hundreds of video clips on all aspects of golf, much of which is not found on other golf web sites. Based on The Golf Scene it will be bigger and better than the DVD-ROM. ".... not just for the beginner but for the experienced golfer too...."
"An ideal aid for young people or people of any age taking up the game of golf"
"It would be a monumental task to try and provide all the information that a new golfer needs to easily navigate the total golf experience and do it quickly...that is unless you purchased "The Golf Scene". What a time saver for both the teacher and student. 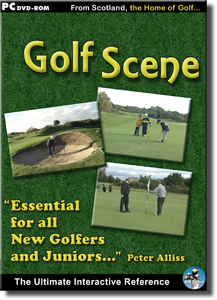 With "The Golf Scene" the new player can become acquainted with everything from how to get a starting time, take a correct drop from a hazard, where to stand on the green, to, getting a handicap, joining a club, and loads more. 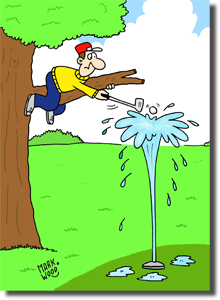 It is a literal encyclopedia on 'getting started correctly and comfortably in the game of golf."